In this article we will discuss about Concept of Sales: Meaning, Definitions, Process and Good qualities of Salesman. Sale is a small activity of marketing in which goods and services are sold in a given period of time. It is a process in which two parties are involved one the buyer who buys goods and services for their use it may be tangible or intangible by exchanging of money. In sales the main focus of the seller on need of seller and its main objective is to maximize the profit and sale. The process of sales started after the production of goods and ends with the product sale. Good Personality: Salesman must have healthy and good personality. A good communication skill which boosts the personality of the salesman. Good communication skills: A salesman has well in communication free to talk which everyone and self motivated person. Pleasant voice: The quality and tone of salesman voice also influence another person. Complete knowledge about product, company: Salesman has complete knowledge about his and he also has knowledge regarding product and company as well. Cheerful person: He should have a smiling face. It is rightly said that ‘a man without a smiling face must not open a shop. In order to impress upon the customers he should always be cheerful and sweet tempered. He should be properly dressed as the dress greatly enhances the personality. Initiative: Initiative is an ability of salesman to do his job/work without the guidance of anybody. It is a good quality for dealing with customer and encourages them. Self-confidence: The salesman have self-confidence while speaking in front of someone else and good in communication which attract the customer. 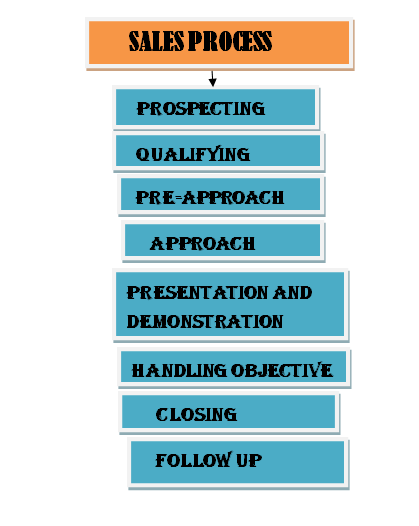 We have studied Concept of Sales: Meaning, Definitions, Process and Good qualities of Salesman. If you have any query please comment. ⟵Concept of Advertising: Meaning, Features, Importance,Advantages/Merits or Disadvantages/Demerits.